Developed by Dr. Welter, Micro Follicular Unit Excision (FUE) is a hair transplant technique in which follicular units are taken microscopically directly from the donor area (generally the back of the head). The grafts are then transplanted into the recipient (balding) area. MicroFUE is different from the traditional FUT because follicular units are extracted without having to cut a long strip of tissues from the donor site. Rather, individual follicular unit grafts are excised one at a time using a tiny one millimeter in diameter (or less) instrument. The device makes a small circular incision of one millimeter or less on the skin around the follicular unit, which heals in a few days. MicroFUE is so precise, that follicular stem cells are sometimes left behind in the donor area, leading to regrowth of what would otherwise be extracted hair. This is something that traditional FUE cannot accomplish. The donor site is typically the scalp, however, the chest or beard area can also be potential donor areas. All hair restoration patients are generally better candidates for the less invasive FUE technique, however, in some cases FUT (strip surgery) is not an option and FUE or ARTAS robotic surgery is preferred. 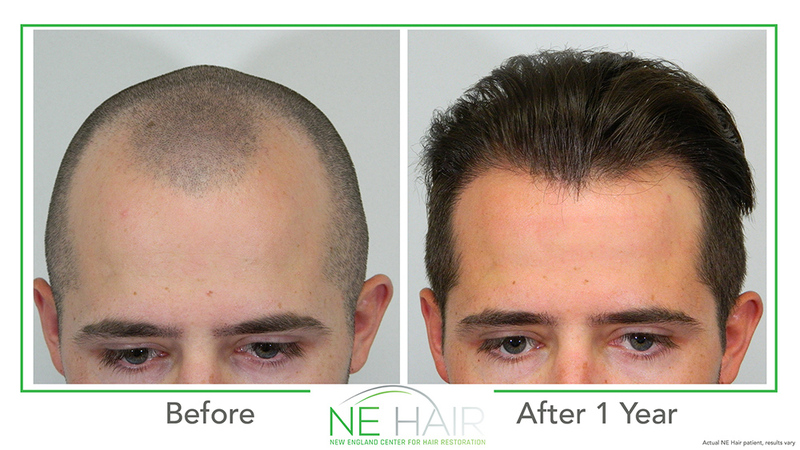 For residents in New England and the surrounding areas such as Massachusetts, Rhode Island, and New Hampshire, contact us today at New England Center for Hair Restoration to schedule your consultation and find out if MicroFUE may be right for you!